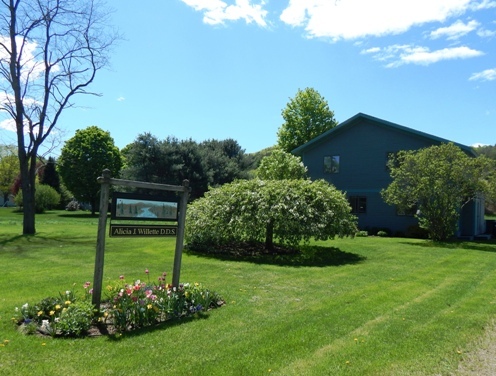 Welcome to our office located in beautiful East Thetford, VT. Our office prides ourselves in providing our patients with quality comprehensive care and education in a relaxed atmosphere. We are committed to helping our patients keep their teeth in maximum comfort, health, function, and esthetics for a lifetime. Our office emphasizes patient education and prevention of disease. Dr. Willette and her team look forward to meeting you and being your partner in your dental health. I am grateful everyday for the wonderful team I get to work with. We provide patients with the highest quality of care and pay attention to the specific needs of each individual. We believe strongly in patient education and are here to help you to learn more about achieving your optimal oral health. My team and I want each of you to have an enjoyable experience. I am also very thankful for the interesting and kind people I have had the opportunity to provide dental care to. I moved from Minnesota to the Upper Valley because I saw value in the lifestyle and environment created here. I love my day spent at work because I find a wonderful connection in each of my interactions and conversations. By the end of every day I feel each of you has added something truly meaningful to my life; whether it is a gardening tip, a new place to hike or travel, or a laugh. You may notice that I do not advertise my office. I feel patient referrals are the best way to grow my practice because my practice is relationship based. I always love seeing new patients and my team and I are here to help you achieve your goals with your oral health. It is important to me that each of my patients understands your personal oral health and needs. I will always take the extra time to explain treatment, treatment plans, and prevention of disease and answer any questions you may have. It is important to all of us that you feel comfortable, welcomed, and empowered about your oral health.